Stay organised when you're on the go with this adidas Parkhood Backpack in Black, Black and White. Make sure you have everything you need wherever you go and stay organised doing it. 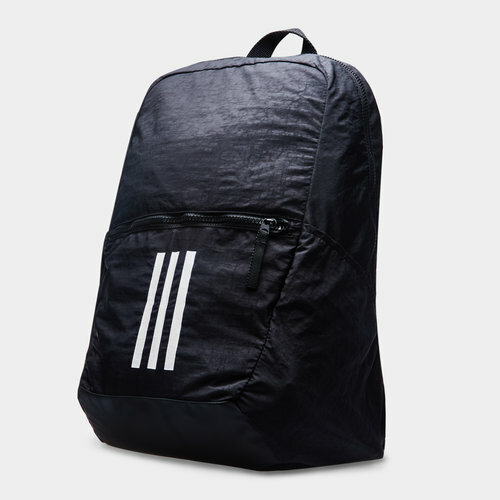 This backpack from adidas has been made from lightweight nylon and comes with zip pockets for smaller items as well as side pockets for water bottles or such like. Inside the bag, there is an interior divider which creates space for a laptop. The bag has padded shoulder straps for comfort whilst carrying which is also breathable with a coated base adding durability.